No, but seriously, yes we all are. But, our clinical research on phone addiction and the claims behind it are still in their nascent stages. For instance, the claim that phones are “rewiring our brains” into being addicted to instant gratification has yet to be substantiated. Meaning, the studies suffer from a lack of vertical syllogistic evidence. However, that’s not to say that phone usage does nothing to us. 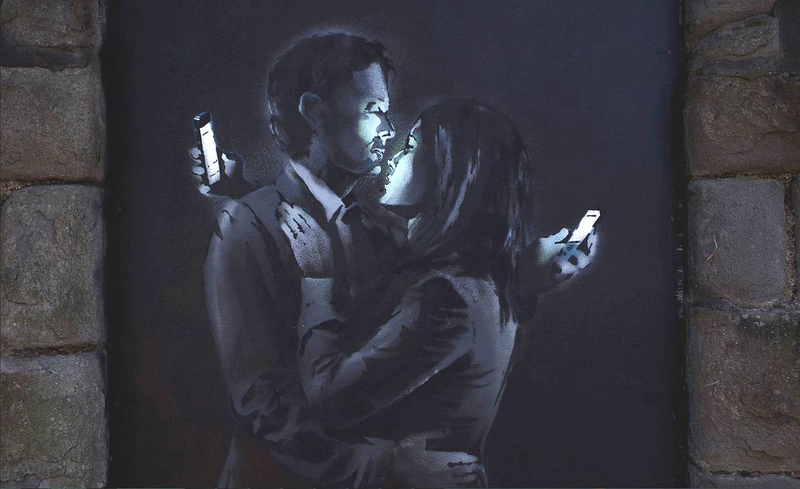 Our phones distract us. Are you familiar with the story of Odysseus and the Sirens? According to Sparknotes, “The Sirens’ song is so seductive that Odysseus begs to be released from his fetters, but his faithful men only bind him tighter.” Get the picture? Life is our odyssey, we are Odysseus, and, yep, you guessed it—our phones are the sirens, beckoning us to an untimely death. Endogenous, or internal, distracts occur when we, the smartphone proprietor’s (although, these days, I’m pretty sure the phone owns us) thoughts lightly drift toward a smartphone-related activity. This then sets into motion an otherwise unsolicited drive to use the phone. Even if we turn to our smartphones for one purpose (e.g. answering a push-notification), once our unchastened selves give it the time of day, we engage in a race to the bottom. We jump from activity to the next, on a domino chain of subsequent tasks that were unrelated to our initial purpose. The real harm, however, lies in the period of disruption and the deleterious effects thereafter. There is research that shows the direct impact that interruptions (in our case, phone interruptions) have on the performance of any given task. This is then complemented by research on “resumption errors,” which is the given errors that arise from starting a task then switching to another, and finally returning to the original task…who hasn’t done this? If you get off-task longer than 15 seconds, resumption errors skyrocket. What’s more, and quite frankly predictable based off of personal experience is that smartphone usage disruptions frequently last longer than 15 seconds. Surprise, surprise. This draws the conclusion that distractions — namely, smartphones — can disrupt workflow and cause errors. Ultimately, smartphones mess up our ability to achieve absolute absorption in an activity. Despite the overwhelming and vehement opposition, “addictive tech” has failed to be classified as a “behavioral addiction.” According to the American Psychology Association’s Diagnostic and Statistical Manual of Mental Disorders (DSM – 5), gambling is the only non-substance ingesting addictive that is recognized. Funny how much swiping down on your Twitter/Facebook/Instagram feed can resemble someone pulling on a slot machine lever. Just cracking away, hoping for a jackpot. Just one more time, I promise, and I’ll stop. And yet, there were the multibillion-dollar Apple shareholders that decried the company’s addictive tech. The Jana partners’ open letter to the tech behemoth doled out a swath of researched backed insights that included digitally distracted students, suicidal tech teens, isolated grade-schoolers, and parental concern surrounding the deleterious effects of social media. According to an APA survey, 94% of parents have moved to manage their children’s tech use, but the letter states that “it is both unrealistic and a poor long-term business strategy to ask parents to fight this battle alone.” The irony here is not that parents do not have the tools to fight the good fight; it is more than they do not have the right tools. Essentially, there are parental control functions on smartphones that give an all-or-nothing solution, which is no solution at all. Binary products are unreflective of the human experience and ultimately work for too few to warrant support or long-term usage. With this new information that’s come to light, will there be an increase in the number of parents comfortable teaching their kids about internet addiction? The parents today did not grow up with the tech of today. Their millennial progeny lived through Moore’s law. Simply put, processing speeds, or overall processing power for computers (including the little ones we keep in our pockets) double every two years. Now, even though parents may have had a cell phone or a computer, is that desktop box that shared a phone line really tantamount to the supercomputer lazily glowing in their child’s face? What is Video Game Addiction? What Are Its Problems and Solutions?